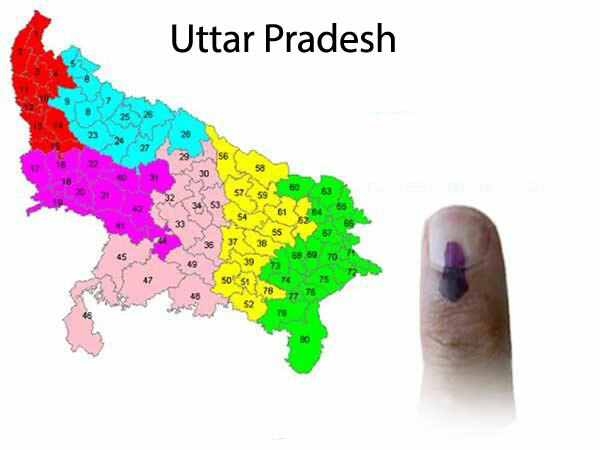 It is very much known that Uttar Pradesh is the largest political field of the country, electing the largest number of representatives to the Lok Sabha. The noteworthy part of the state is reflected in the emanation of numerous Prime Ministers of India from Uttar Pradesh, right from first PM, Pt. Jawaharlal Nehru to the current PM, Narendra Modi. 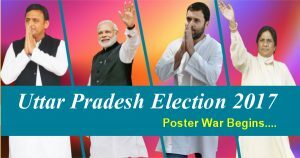 In the last decade, the government formation had been made by the two regional players of the State, namely Samajwadi Party and Bahujan Samaj Party. With dates for elections of the state announced by the Election Commission of India, model code of conduct come into effect. The electoral arithmetic constituents of this largest state have always been caste and religion, the prime sovereign being two dominant caste centric party swapping power alternatively. The two major national parties of the country had fewer say in the electoral outcome until the general elections of 2014, when then saffron wave, initiated by Bharatiya Janata Party swept the state. The other national party, the Indian National Congress, which has been out of power for the past three decades, has become almost redundant with not much hold on the ground. 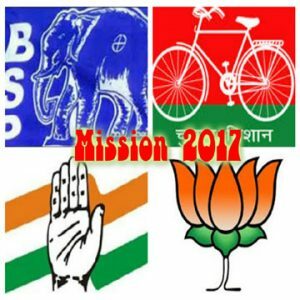 The question of survival is compelling this oldest party of the country to act as tail end for the dormant regional parties of the states. In the run-up to the 2017 state elections, the party has projected, the octogenarian leader Sheila Dixit, Ex-Chief Minister of Delhi as the Chief Ministerial Candidate in the State. The party, in order to turn around its fortune, had roped in political strategist, who once had managed political campaign of their bête noire PM Modi. The projection of a chief ministerial candidate is just the eyewash, where the fear of otiose has compelled this grand old party to piggyback the ruling incumbent party in the State. The two major state parties in the state namely the SP and BSP are in disarray, where the former is entangled in a family feud while the latter is digging the lost ground. The quest for power has made the political parties to leverage the socio – religious identities thereby making religion and caste as the dominant factor. The recent judgment of the Supreme Court of India in run up to the elections would, to a great extent, prevent the political scene from being vitiated, where in it, the usage of caste and religion as a political tool is forbidden. This will also turn the debate of secularism redundant, where the appeasement of a specific religion segment had made the political parties to resort to adopting an unconstitutional policy. The fruitful experience of forming a grand alliance camouflaging as a secular alliance in the adjacent state of Bihar have been compelling the parties to mirror the same. The grand alliance with the incorporation of RLD, a party led by former PM Chaudhary Charan Singh’s son Ajit Singh, having clout in the western part of the State, if fructify could pose a challenge to the BJP’s gateway to 2019. Not to forget, the implication of demonetisation dilemma will it have.